We must rethink the point of sale, this is clear. But while this concept of purchase, interaction with the product and the customer, and the new needs of brands are being defined, our exhibition furniture and commercial spaces should be designed, not as a display of richness in materials and light, but in a wealth of adaptability, modularity, versatility and diversity. Providing economic luxury, luxury in style, luxury in modernity, luxury in conceptualisation. A design that allows us to change the appearance without wasting delirious budgets. We are sure that with well planned initial investment it’s possible to generate good design capabilities. Because, more and more, the final consumer buys the products for their global image, for its implications, for its connotation, for its “know how”. Because I not only buy a fragrance for its smell or for its campaign image. There is a more global and conscious vision of the companies behind them and their operating systems. Thinking about the needs of our markets and consumers, the “new luxury” would be to create good brand concepts adaptable to an immediate future with constant changes. 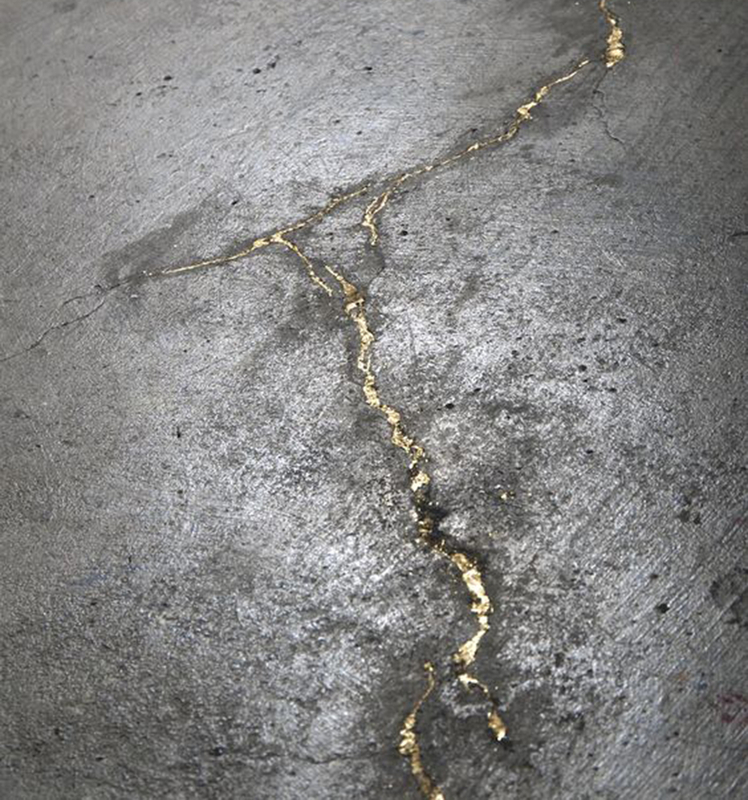 Image: Seam (gold leaf in concrete, 2007), Catherine Bertola.